With so many tools and media now available to businesses, it is vital that you use all available means to advertise your business. 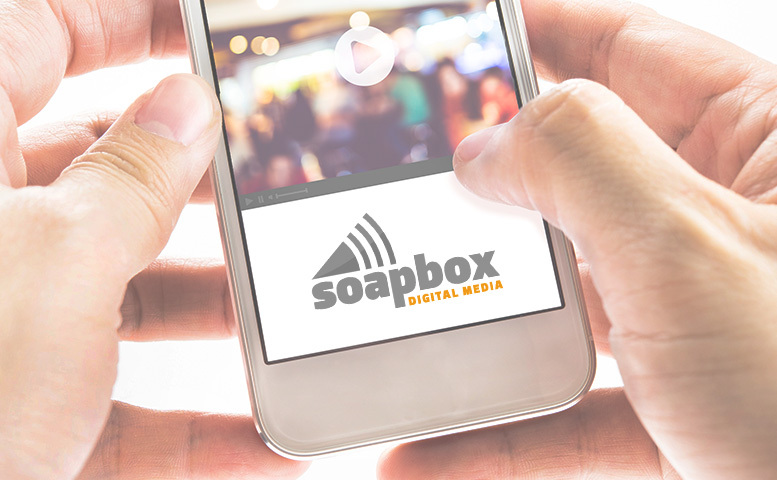 At Soapbox Digital Media, we have in-house professionals with the skills and experience required to produce high quality videos, animations and motion graphics to boost your online presence. Be seen online! You may be thinking that professional video production would only be available for those with huge budgets available, however we can produce quality results for businesses of all sizes. Modern software and advanced in camera technology means that it is much easier to get professional quality videos. All you need is a skilled team and creative ideas, both of which we have in abundance! Almost every business can benefit from professionally produced video content. It can help bring a website to life, increase your reach across the search engines and help you to get your message across much quicker. However, you want to ensure that you are using this medium in the best possible way – producing a video through Soapbox Digital Media can give your business the right look to appeal across the board. Getting a video can be a daunting process, however we can make it easy for you. We can integrate your video within your site and across your social media channels with ease. When we produce a website and video together, we can match up the styles and colours to ensure that your video works with your whole brand and design concept. Research has shown that websites which have videos hold a users interest for longer, by over two minutes on average. Also video traffic now accounts for ever increasing percentages of web usage reaching past 50% on mobiles. The stats demonstrate that more and more businesses are taking advantage of video content, so get in touch today to find out how you can too!